Hello again everyone, welcome back to another post about books! Today I wanted to talk about three books that I’ve read recently, one that I enjoyed immensely, one that I felt was just okay, and another that really disappointed me. Now despite the title of this post (that I’m actually pretty proud of, I didn’t intentionally read these books in order to write this), only two of the books are actually memoirs, and one is a general fiction that everyone seemed to be loving in 2018 about someone telling another someone their life story. Full disclosure, this post may include some spoilers for this first book I’m going to talk about, read at your own risk! Everyone and their mother knows about this book I feel like, it was in several 2018 favorites lists of people I follow and everyone seems to be completely crazy about this story. I definitely understand the hype about this book. Although it may be a spoiler, I’m on the fence because I feel that this was the obvious direction the book was taking, this book features a female-female romance between a bisexual woman and a lesbian woman as well as including a discussion on race, heritage, and life as a biracial person in the United States. All in all, the representation I feel was on point and honestly the book was a delight. However, this is the book that I felt was just okay. I definitely didn’t feel as strongly about the story as others. Several people I follow have posted on Twitter or Snapchat crying after finishing this book, but my eyes were dry as a desert, both because I just didn’t feel emotional and because I finished this book way past my bedtime. Not to say that the ending is not sad. It is, but in a way that feels completely different from other books that have made me cry my eyes out. The ending just felt incredibly inevitable, and like that was the way that it had to end. It didn’t hurt, it was just like, “Yeah, that’s what happened.” I feel that I am not explaining myself very well, but that is just because I was so underwhelmed by this book when others have been talking it up so effectively. I liked this book, and the writing was very nice, it kept me interested to the point where I stayed up way too late in order to finish it in one sitting. But I don’t think that it was the most amazing or sad thing I’ve read at all. This book was amazing. I picked this up because of Whitney from WhittyNovels. She read this and talked about it in her 2018 favorites video and said that it was her #1 book of the year, which is saying something because Restore Me by Tahereh Mafi came out in 2018. It was not quite what I was expecting based on Whitney’s discussion about it, but it was still one of the most amazing, moving, and real books that I’ve ever read. 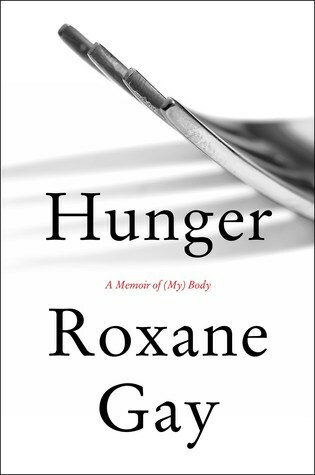 This book is titled Hunger: A Memoir of (My) Body, and it talks about her experiences growing up and eventually becoming an adult and having to live in a world that actively hates and at the same time ignores the existence of fat people. It talks about her experience as a sexual assault survivor and how that one event changed her from this cheerful and happy child into “the girl in the woods” that cannot get past what happened. Following her journey of trying to forget what happened but not being able to, of trying to feel safe but eventually feeling imprisoned by the walls she built around her was just so moving and it was definitely one of the most difficult things I have ever listened to. I had this book on audio and listened to it on my commute to and from school and there were times that I felt like I could feel what she was feeling. I am fortunate enough to never have experienced the things that she has felt, but listening to her voice, for she narrates the audiobook, and the raw emotion of her writing just pulled me in. I highly recommend picking this one up on audio, even if they are not really your thing, because there are times where her inflection really adds to the writing. Unfortunately this is the book that really disappointed me. 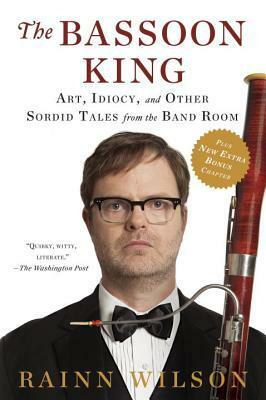 It was the first audiobook I ever listened to because it was narrated by Rainn Wilson himself and I am a huge fan of The Office. My best friend gave me the physical copy of this book for Christmas – which was also good to have because it comes with a section of pictures – but I decided to buy the audiobook as well to listen to while me and my SO drove to his family’s house for Christmas. We were able to listen to about half of it to and from their house, and we both enjoyed that experience as he is also a fan of the show. However, the second half of the book kind of… rubbed me the wrong way. Rainn Wilson talks a lot about growing up as a struggling actor in New York City in the 80s and also about his conflicting feelings at the time towards religion. I am an atheist, and there are times when I find myself hostile towards religion just because of my experiences growing up in a “Christian” family, so at first I was trying very hard to keep an open mind. I knew that I was reading about someone else’s life and their own, personal experiences, and so I knew that it wasn’t someone telling me that being an atheist was wrong. I still feel that he was not implying such a thing, but there was an uncomfortable segment where he was talking about his “spiritual journey” and how he went through a period of time where he held atheist beliefs, and the way that he wrapped up that section made me feel that he was saying that not believing in God was something that everyone goes through before they realize they are wrong and there is some sort of higher power. I’m not here to talk about my beliefs, but I really did not like that at all. Overall, I enjoyed the beginning of the book the most, which was mostly him talking about his parents and going through their separation and not having a relationship with his birth mother. I also enjoyed learning about how he discovered his passion for acting and how he got into the theater in high school, but that was about it. Unfortunately, I found many of the things that he had to say and his opinions about society and what he claims is wrong with it very pretentious and that he has that sort of holier-than-thou attitude about the arts. Even more unfortunately, watching The Office after reading this, which previously has been something I put on for background noise while I am at home or studying, has been difficult because now listening to Rainn Wilson as Dwight annoys me. So those are the three books I wanted to talk about today. Have any of you read any of these books? Did you feel similar to me or different? 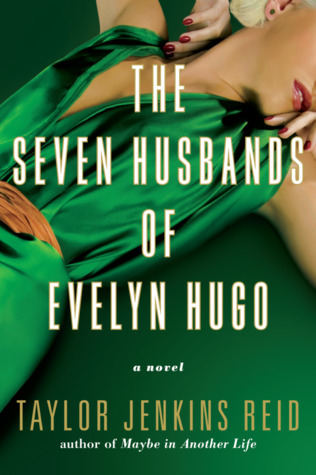 I would love to hear some opinions about The Seven Husbands of Evelyn Hugo that are different from mine, and even The Bassoon King. Feel free to leave me a comment or connect with me on Twitter to discuss! I adore Evelyn Hugo! I was one of the many who put it on my top books for last year (it actually made the number 1 spot on mine!) I still have yet to read anything by Roxane Gay. I’ll have to soon!